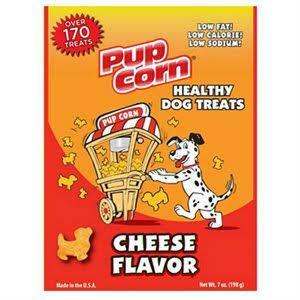 Thanks for looking at our SUNSHINE MILLS Pup Corn Cheese Flavored Dog! 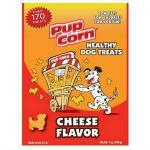 Pup Corn Healthy Dog Treats from Sunshine Mills are a healthy and tasty treat for your puppy or dog. Pup Corn treats come is three great tastes and are perfect for owners looking for a great tasting, low sodium and low calorie dog snack. 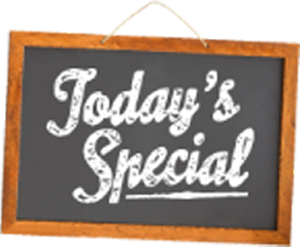 Available in Cheese, Chicken and Peanut Butter flavors, these treats are made with only the highest quality ingredients. Rich in flavor while low in sodium, fat and calories, Pup Corn treats are a healthy alternative so you can treat your dog anytime and feel good about it. Each bone-shaped treat measures approximately 1-3/4" with only 3.1 kcal and .025 grams of fat per treat so they"re a great for training or as a tasty anytime treat. 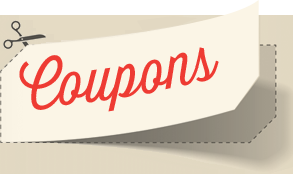 Pup Corn Healthy Dog Treats from Sunshine Mills come is re-sealable containers for freshness. Ingredients: Low-Fat Cheese Flavor: Corn flour, wheat flour, natural chicken flavor, powdered cellulose, chicken, canola oil, dried cheese product, mono and di-glycerides, corn syrup, yellow No.6, lecithin. Low-Fat Peanut Butter Flavor: Corn flour, wheat flour, natural chicken flavor, powdered cellulose, chicken, canola oil, mono and di-glycerides dried, corn syrup, peanut butter flavor, yellow No.5, brown No.9, lecithin. Low-Fat Chicken Flavor: Corn flour, wheat flour, natural chicken flavor, powdered cellulose, chicken, canola oil, dried cheese, mono and di-glycerides, corn syrup, yellow no. 6, lecithin. Made in the USA.